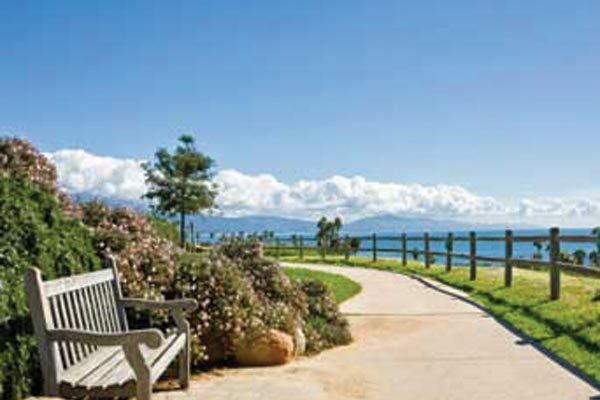 What to Expect: Paved, one-mile round-trip walking path set within Shoreline Park. 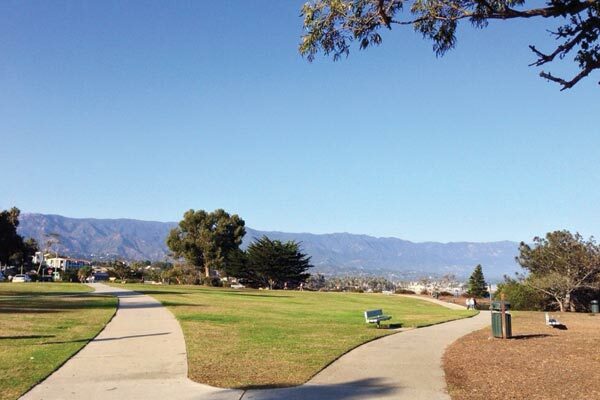 Park includes large grassy areas, a playground, walking paths, parking lots and restrooms. Very little shade exists, so bring your sunglasses, hat, and sunscreen! • Restrictions: Dogs on leash. No biking, scooters, or skateboards. 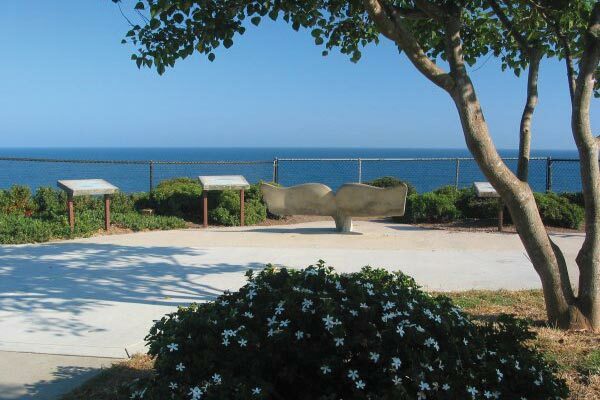 Things to Do: Walking, wildlife viewing, beach access, kite flying, and children’s playground. Amenities: Two public parking lots and street parking available. Restrooms, benches, and drinking fountains. What to Bring: Map, sun protection, layered clothing, flashlite, first aid kit, water, snack, cellphone, personal identification, and other items. Directions: South bound Highway 101, exit Castillo Street turning south-east toward the ocean. Take a right at Shoreline Drive climbing the hill to Shoreline Park. Street parking is available near the park. Parking lots are located at the east and west ends of the park. North bound Highway 101, exit Bath St., turn left on to W. Haley St. and turn left on Castillo St. Take a right at Shoreline Drive climbing the hill to Shoreline Park. Parking lots are located at the east and west ends of the park.